Players of any level can speak with any Blingtron 5000 or Blingtron 4000 and complete his daily quest once per day (account-wide). Only one daily can be completed, so players must choose between the two Blingtrons. The Blingtron 5000 may have a slightly higher drop rate than Blingtron 4000. Reboots the operating system, performing no actions for two rounds, then recovers 1379 health. my go to pet for dranear with that girl pet tammer by the alience garrison the one with the elik plushie start with him till he dies then roll out my lowest level pets to take on the elik plushi for XP always manage two get em both up a few levels. My P/P Sky-Bo almost singlehandledly DESTROYED Dr. Ion Goldbloom's team in the Celestial Tournament using Screeching Gears, Reboot, and Launch. I started with a S/S Nordrassil Wisp and switched in my Sky-Bo the moment Screamer used Feign Death and dragged in Trike. Screeching Gears stunned the entire team across multiple turns and Launch... Just wow. This pet is an underrated masterpiece. Update: As of 7.0.3, this little guy is merely average. It just can't put out damage. Fotunate, I was by the Auction House in Iron forge & i saw Sky-bo Pet for the 1st time on 2/16/15 .I said to myself thats a cool pet ,did'n't know anything about him ask the guy where u get him he said nothing. I look him up on this webisite to see how to get it. I Saw he drops from Mr Bling 5000 and i have one. but who knows when it will drop.On today(02/17/2015) at 6 am on the dot opened my bling 5000 & here Sky-bo Drops right into my hands.Thats too Wicked.Ask and you shall receive. He drops from Blingtron 5000 also, got one yesterday. I was really surprised how good this pet looks! It hovers around, and morphs into a plane as it chases you. A must have! But when you click on him he sounds like me when I'm having an asthma attack.. This does drop off of the Blingtron 4000 daily gift package, it's how I got mine. The Blingtron 5000 shouldn't be in-game until WoD goes live and engineers can start making them. For me S/S breed with Flamethrower, Sticky Grenade and Decoy is the way to go. 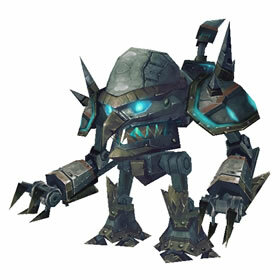 Can be very annoying pet to face and with Decoy now buffed against certain AoE makes it even more useful. While Reboot heal is powerful it will leave you very low on damage output. Launch of course is also a useful avoid + damage move, but Decoy is much more useful in more situations. Might become a new favourite pet. I am new to pet battle, which breed is best for this pet? P/P or S/S? The one I got is S/S. I just got this pet today from a Blingtron Daily. What a Nice surprise. He's a very cool pet with some interesting moves. bought one for like 15k off the AH. don't think it's supposed to drop yet.. since the drop says it's supposed to be from Blingtron 5000 and not the 4000 model. it's a decent fighter from what I've seen so far. The Sky-Bo was originally designed by the infamous Millie Watt as a toy for her cat. The cat just slept in the box next to it.